As of June 22 a new coaster with broken records, was opened at Six Flags Magic Mountain. 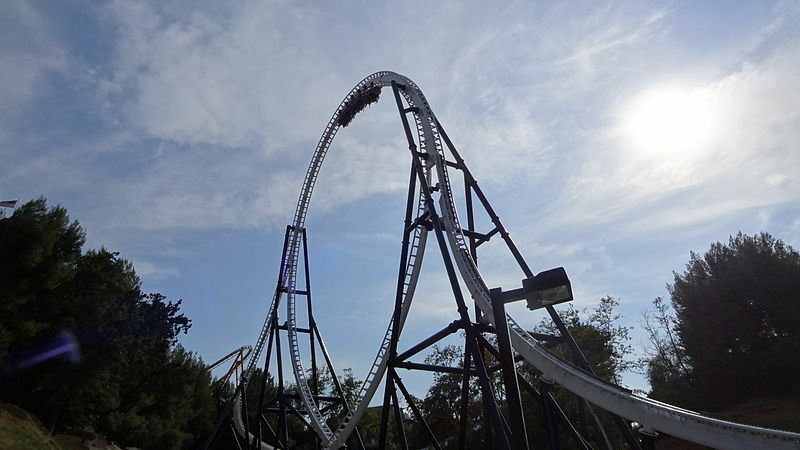 Full Throttle broke a record for the world’s tallest and fastest looping coaster. The ride does something very unique by blasting over the top of a vertical loop, which is called a “top hat loop”. It is the first and only to be built with a top hat loop, which stands at a thrilling 160 feet tall. That is 15 feet taller than Superman at Six Flags in Texas which had the tallest vertical loop in the world before Full Throttle.